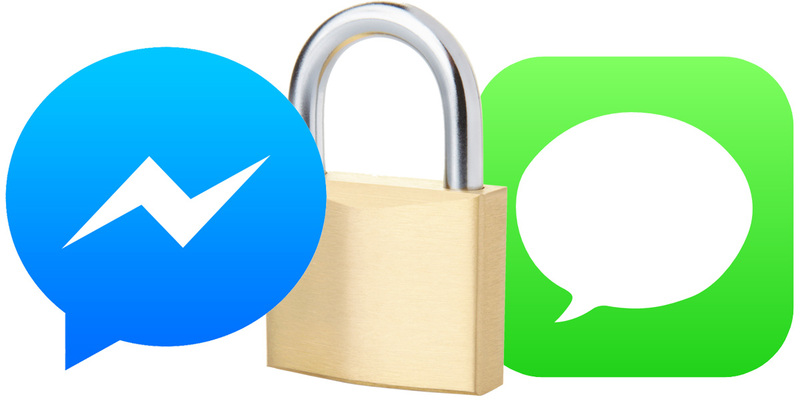 Facebook Messenger vs Apple Messages Encryption: Which is Better? Facebook’s Messenger private chat feature now supports end-to-end encryption, much like Apple’s own Messages app. That said, there are differences in how the two handle keeping our chats private. Facebook’s new Secret Conversations feature lets users carry on chats in Messages that only the participants can see. The conversations are encrypted with private keys that Facebook doesn’t have access to, which means the social network company can’t decrypt them, and presumably government agencies can’t, either. That’s how Apple’s Messages works, too. One big difference between Secret Conversations and Apple’s Messages is that Facebook’s end-to-end encryption is off by default. You enable Secret Conversations encryption on a per-chat basis, and encryption is available only for new chats. Conversations you’ve already started can’t be encrypted. Apple’s Messages encrypts all chats between iMessage users, no need to opt in. Look for the blue chat bubbles to tell when you’re talking with someone who has iMessage enabled. Green chat bubbles mean at least one person in the chat isn’t using iMessage, which means your conversation isn’t encrypted. Facebook’s Secret Conversations are limited to a single mobile device you authorize, and require the free Messenger app. Encrypted chats aren’t available through the Facebook website, so don’t plan on using your desktop or laptop computer. Messages, in contrast, shows your encrypted conversations on all of your devices using the same Apple ID. That means you can start a conversation on your iPhone, pick it up again later on your iPad, and see everything on your Mac, too. iMessage generates unique encryption keys for each device. Seeing your conversations on all your devices is convenient, but Facebook’s single-device system could be more secure for some users. Since Secret Conversations is encrypted for a single device, where iMessage encrypts per account, the only way for someone to eavesdrop on your chats is to get ahold of your one authorized device. Viewing encrypted Messages conversations only requires any of the devices logged into the same Apple ID for iMessage. That doesn’t mean encryption in Messages is less secure; only that more devices makes it potentially easier for someone to see what you’ve said without your knowledge. Choosing which is the better encrypted chat system is subjective. For the average iPhone user, however, always on end-to-end encryption is a good choice because they don’t need to think about turning it on. It’s simply happening as a byproduct of using Messages with iMessage enabled, which Apple does by default. The downside is that Apple’s end-to-end encryption is available only when chatting with other Apple device users. The advantage to Facebook’s Secure Conversations feature is that it works cross platform, so the potential number of users is higher. The downside is that everyone participating in an encrypted chat needs a Facebook login, the Messenger mobile app, and Secure Conversations enabled for each chat. That’s a lot to ask of someone who isn’t tech savvy enough to understand the difference between surfing the Web and browsing Facebook. Luckily, we don’t have to choose which to use because both are options. It’s just unfortunate that Facebook decided to make securely encrypted conversations an opt-in feature instead of enabling it by default. How do these compare with Signal & WhatsApp ?